Holy moly! Let the mouth-watering begin. 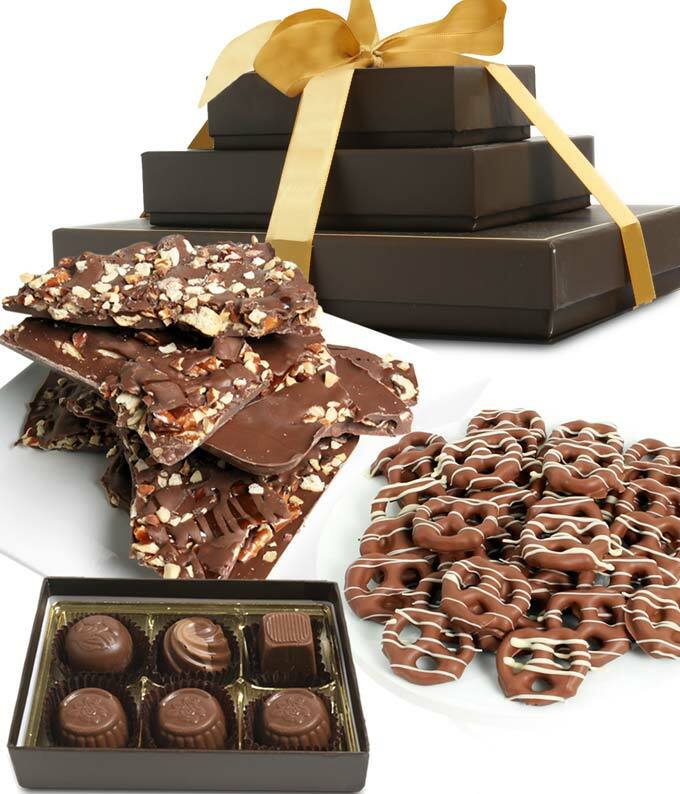 The Sweet and Salty Milk Belgian Chocolate Gift Tower is the ultimate chocolate sentiment. With sweets and treats generously arranged, everyone on the receiving end will find something they'll love munching on. This gift tower is perfect for just about any occasion!